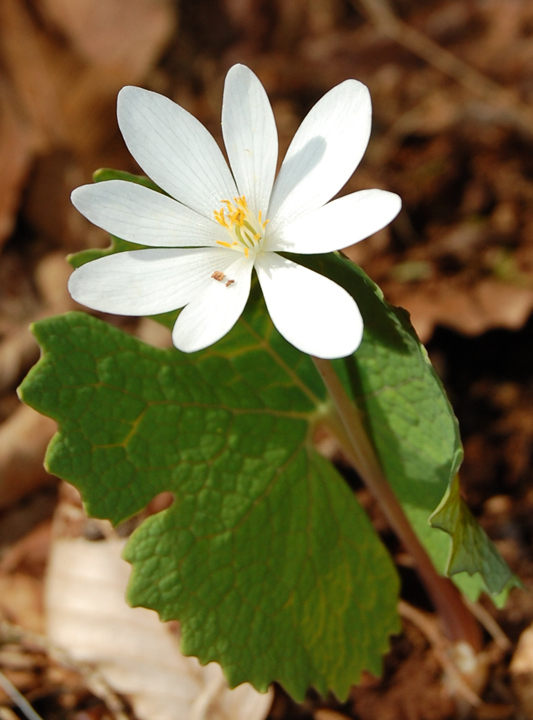 They bloom in the early spring along roadside and in rich woods. 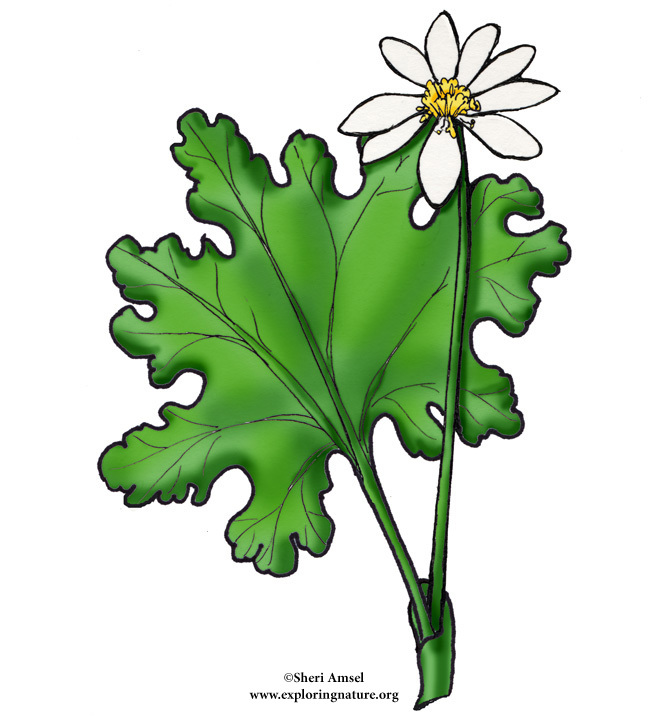 The 1” wide, white flowers each grow on their own stem with up to 12 petals. Leaves also grow singly and are large and deeply lobed. 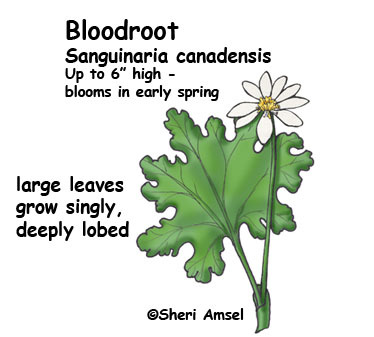 The names comes from the red sap that comes out when plant tissue is torn.